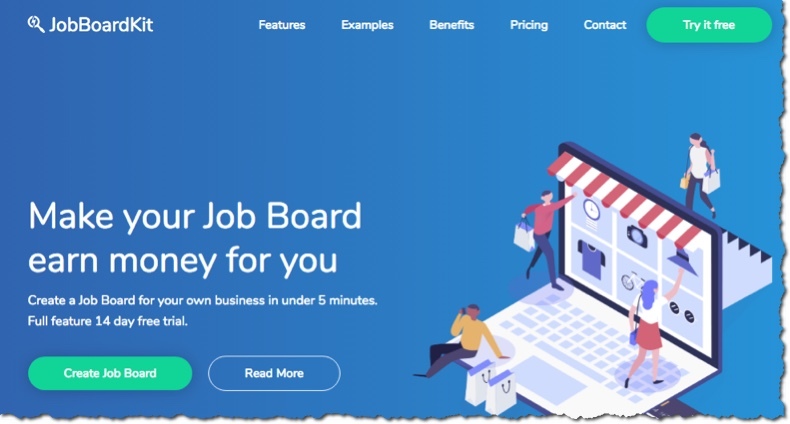 A few weeks ago I wrote about JobBoardFire and now comes news of another platform for the job board world. Job Board Kit is based out of the UK and is now open for business. They are also my latest sidebar advertiser. All of a sudden the job board software market is heating up. I attribute a lot of this to Google getting into our space. Do we need more platforms? That is debatable, but a little competition now and then is a healthy thing. JBK offers a 14 day free trial and pricing varies according to the number of jobs hosted. They also just added a plan called Startup which is only £7.99 per month for up to 100 active listings. The design examples they list are fairly straightforward looking. Features include Stripe for ecommerce, Indeed for backfill and several responsive templates to choose from. Setting up an account was quite easy, just enter a few details and it will create the site in a few minutes. Here’s a look at the backend which allows you to do things like adding pages and setting your backfill query. MarketGrabber is a longtime provider of job board software. 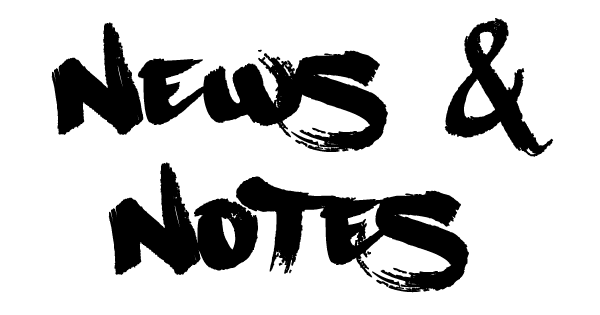 I did a Q&A with Laura Barry, VP of Sales & Marketing over email recently. How long has MG been around? Who is company founder? Our company AlphaPlex, Inc. has been in business since 1997 and is located in Colorado Springs, CO.
We began as a custom web development company specializing in database driven websites. We launched MarketGrabber in 2005 with our Classifieds and Directory software. 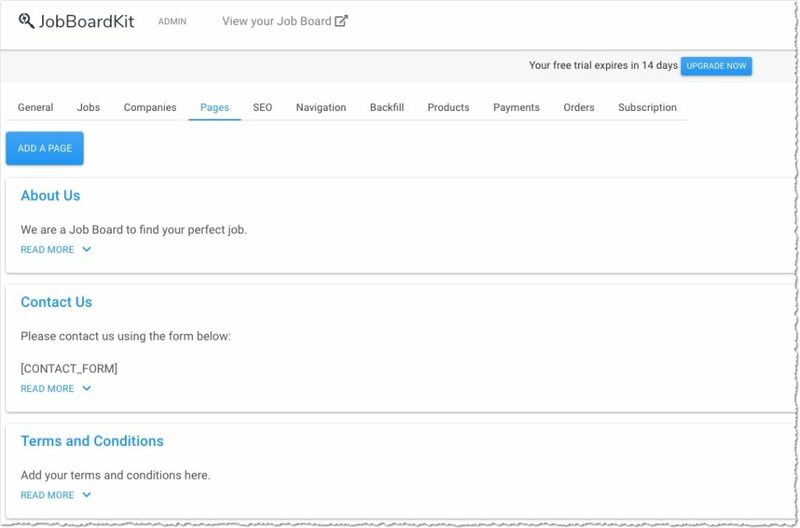 We launched our Job Board Software not long after ane originally called our Employment Edition. The company was founded by Edward Barry (my husband), a software engineer who formerly worked for Digital and MCI. How many sites do you power today? MarketGrabber powers over 1,000 websites with approx. 500 hosted with us at this time. Of those, we have sold several hundred job boards. Is your software hosted or just sell licenses or both? Both. We provide our software with a full source code license. Our customers have the option to use our hosting/support service or use their own servers. Hosting is separate from the cost of the software and runs $29.95 – $49.95 per month. We also offer design and customization services. Is your platform Google Jobs ready? What are the 3 best features of your software? Job import and wrapping Capability with additional Backfill options. In addition: As a company we offer design and customization services and are located in the US. 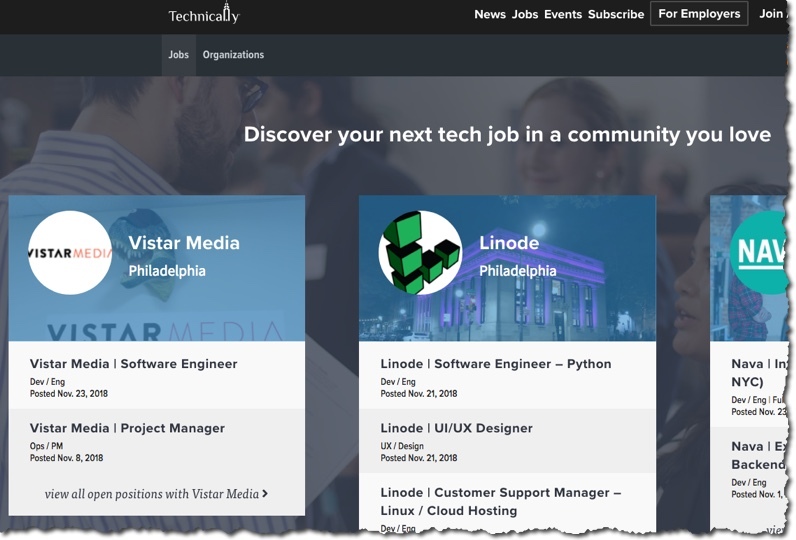 Whats your best tip for job board success? I believe the niche job boards are the most successful, specifically within a niche Industry rather than geographic location. It’s best for the site owner to know their market and use email and/ or social media campaigns to get their brand recognized. 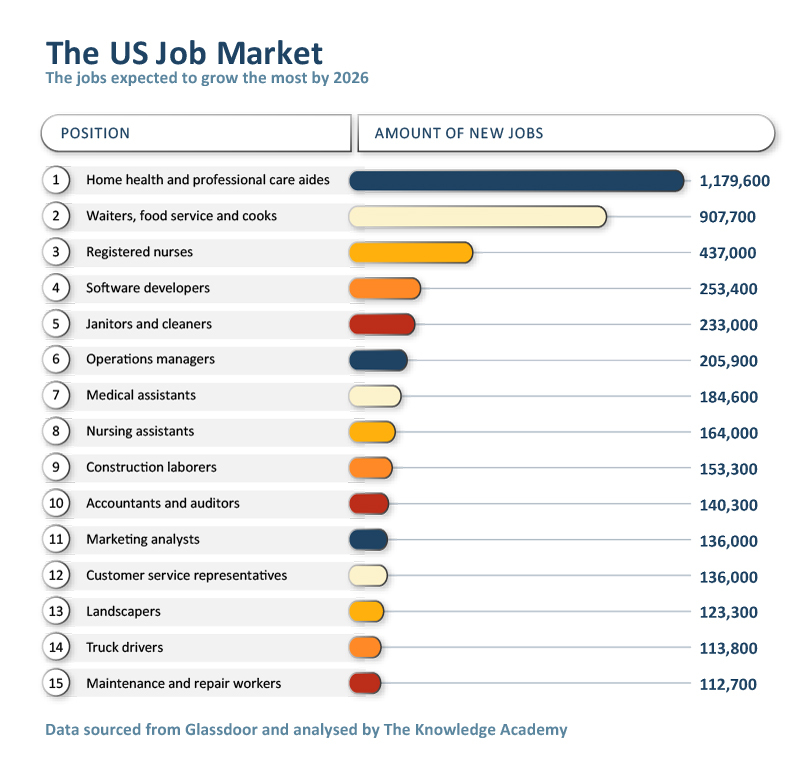 With our current tight labor market, job candidates don’t want to spend the time and energy sifting through generic job boards and aggregators, give them the jobs they are looking for and this is a win/win/win for job board owners, candidates and employers. Our Job Board Software is only one of the products we currently offer but we have seen an increase in sales and inquiries since our latest update in the summer. 70 Million Jobs is the first national, for-profit marketplace for 70 million Americans (1 in 3 adults) with criminal records. 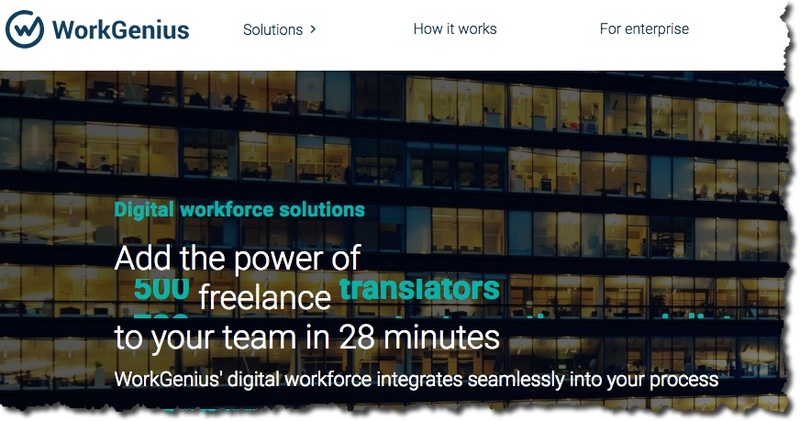 We’ve created a 2-sided marketplace which looks a lot like a job board (from off-the-shelf technology), and are seeing great growth in both jobs facilitated and revenue. 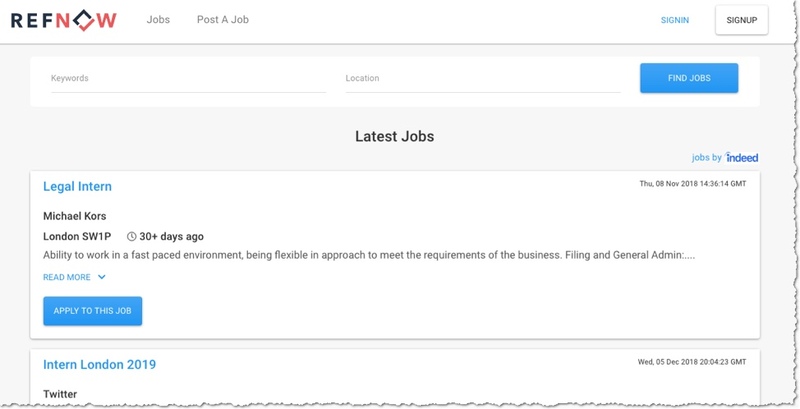 In the past we’ve worked with a dev shop in San Diego that manages lots of job boards. But we know we can be doing much more. Our small team of 4 is not particularly technical, so we need someone to come in and take ownership of this part of our business. We’d probably need a new job board designed, and we’d like to include certain new HR tech (AI, etc), plus lots of needs regarding data, tracking of applicants, etc. Someone with experience with ATS’s would be helpful, as well as someone very attentive to UX (our applicant users pose certain unique challenges). We are a company seeking double bottom line returns: do massive social good and make a lot of money. We’re starting to work with a number of marquee VC’s. Literally everyone loves our mission–this is a chance to build something that truly makes a difference. Our goal is to eradicate recidivism by facilitating the employment of one million deserving men and women. If you’re ready to discover real meaning in your work, we might be a good fit. PS-we’re planning a move from SF to LA beginning of 2019.